Easter is an interesting holiday in this house. We're far away from family, so it isn't one where we get together for a big Sunday dinner with extended family members. And we don't have kids, so awaiting the Easter Bunny's arrival and hunting for hidden Easter eggs aren't really on our agenda for the weekend. That said though, I do still like to do a few things to make the holiday special. Sometimes my sister Emma comes to visit for the weekend and sometimes it's just Alex and me, but regardless, we always have Easter baskets filled with goodies. It's not toys or stuffed animals usually, but there is always chocolate. This year's Easter basket was filled with a few of Alex's and my favorites: Cadbury Creme Eggs and dark chocolate mini eggs for me; jelly beans and a Reese's peanut butter filled bunny for my husband. Along with all of that: a bottle of Uproot Wines 2011 Cabernet. 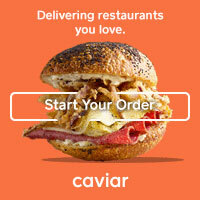 Uproot Wines is a new kind of wine company for the modern day wine drinker. They understand that we never really outgrow candy, especially during Easter. 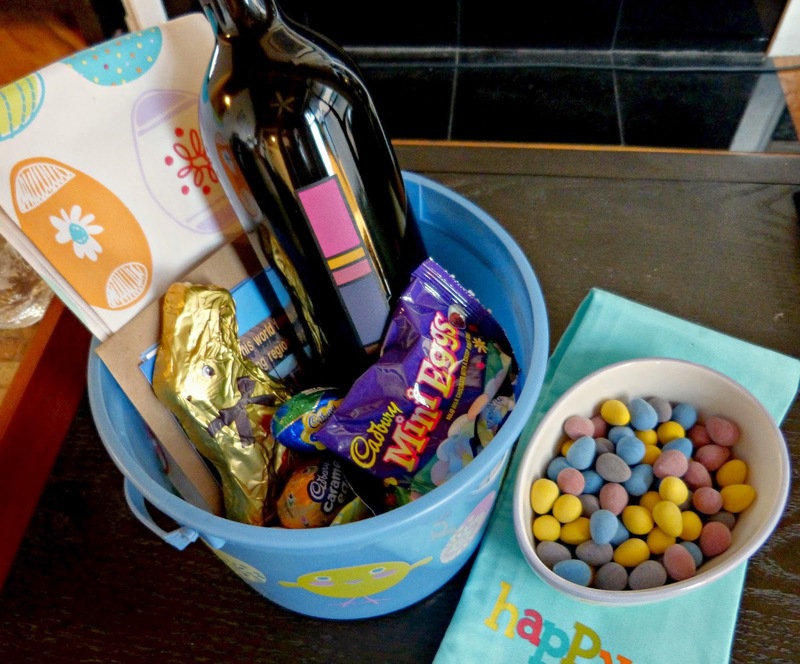 So should you find yourself with a basket full of goodies, Uproot suggests that you enjoy them like an adult, in a sophisticated manner with a fun wine and candy pairing. That sounds good to me! 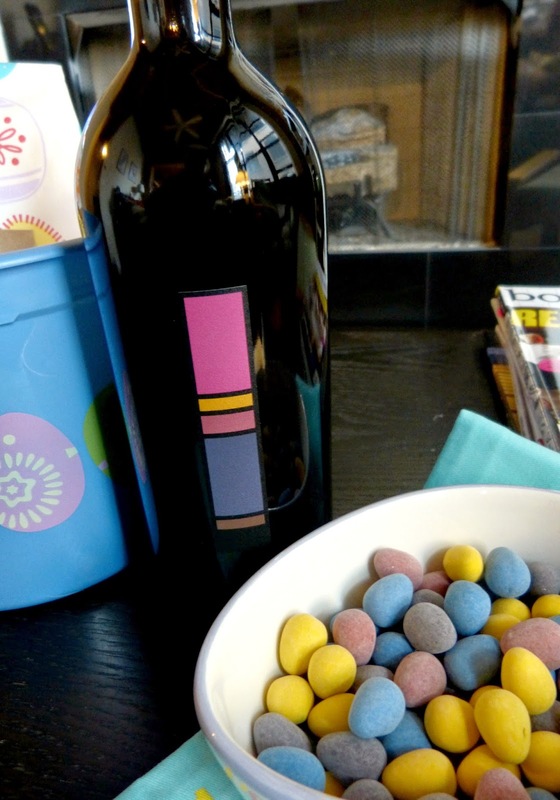 In our Easter baskets, I decided to go with a tried and true flavor pairing: Chocolate & Cabernet. Uproot highly recommended this pairing because the rich chocolate notes of their 2011 Cabernet bring out the richness of milk chocolate and the boldness of both flavors works together perfectly. Uproot offers a really fresh and modern take on the super traditional arts of wine making and drinking, which is immediately evident in their labels. I'm a visual person and while I enjoy a pretty vintage label, I love what Uproot has created with theirs: a graphic cheat sheet (or the Flavor Pallette, as they call it) to the flavor notes that you can find in each of the wine varieties. On my Cab label, for instance, you can immediately see that you get some big bold berry flavors with background notes of dark chocolate, cherry, and Cuban cigar. It's such a fun way to decipher what can often be a super complicated part of selecting, drinking, and pairing wine. So cool, right? 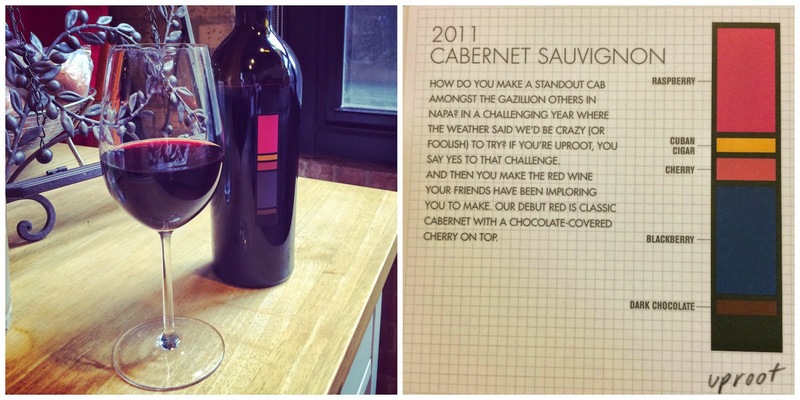 This Cab has a great bold, but fruity flavor which works perfectly with the chocolate in your Easter basket, of course. However, I think it also works equally well with a classic Easter lamb dinner too! Since it's just Alex and me, I won't be serving a large leg of lamb but I still wanted to do something a little traditional. 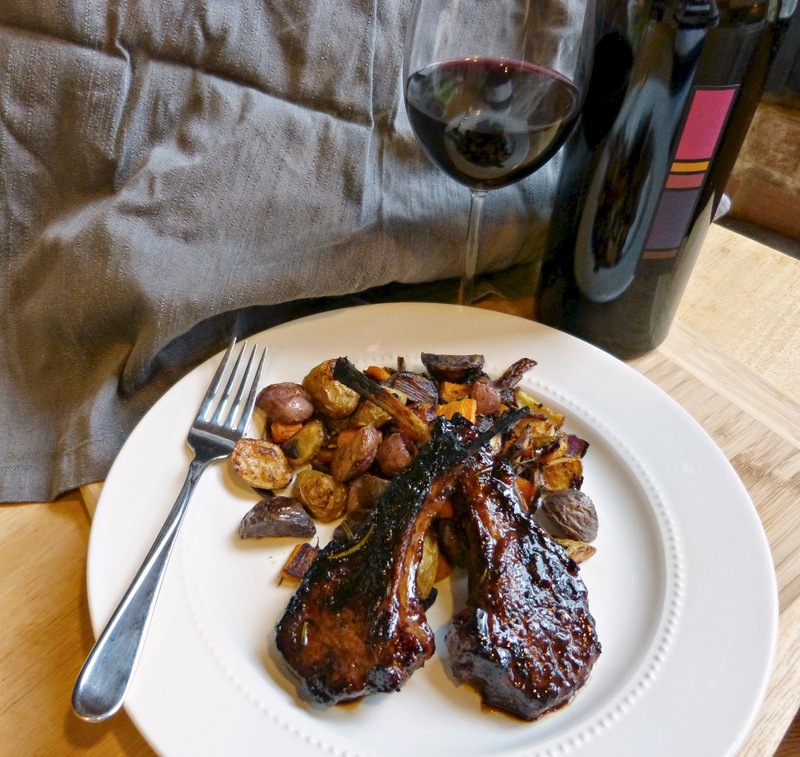 I've got a great grilled lamb chop recipe to share with you that's perfect for a grown up and modern Easter dinner celebration. Come back on Wednesday to check it out! Editor's note: The wine was provided to me at no cost by Uproot, but the opinions expressed here are my own. what a tasty combination as I wanted to grab some to satisfy my hunger.. nice bloging!